As I mentioned in the previous post my girlfriend just got back from Belgrade. This time I was left home alone, so the credits for these photos go to her. Driving around the old part of the city one can still see effects of US bombings on surrounding houses. It is one of those reoccurring stories. First the US Army (still reffered to as the aggressor army by locals) buys bombs and pays its soldiers to demolish a need-to-be-liberated-country and then it needs to be rebuilt - again (at least partially) with US money. The whole civil war thing, the bombings and the following socio-economic crisis, has left it's impact on people. They don't seem to trust each other as easily as before the war. However in some aspects things have stayed the same. Numerous brass bands can be seen on the city streets. They try to keep the moods of passersby as high as possible. The city center remains alive late into the night. And it doesn't mater if it is just another weekday night. In addition to all this, basketball scene is still very much alive. The locals consider it almost a national sport. Some of the players from former Yugoslavia have even left quite an impression on NBA (e.g. Drazen Petrovic, Toni Kukoc, Vlade Divac, Peja Stojakovic and many more). 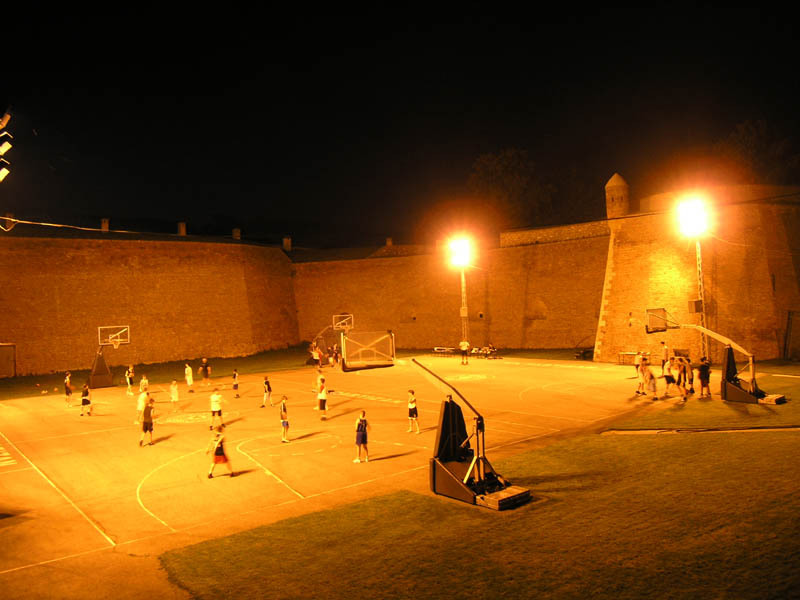 Many street basketball courts can be seen around the city. The ones with lighting remain crowded long after sunset every day. 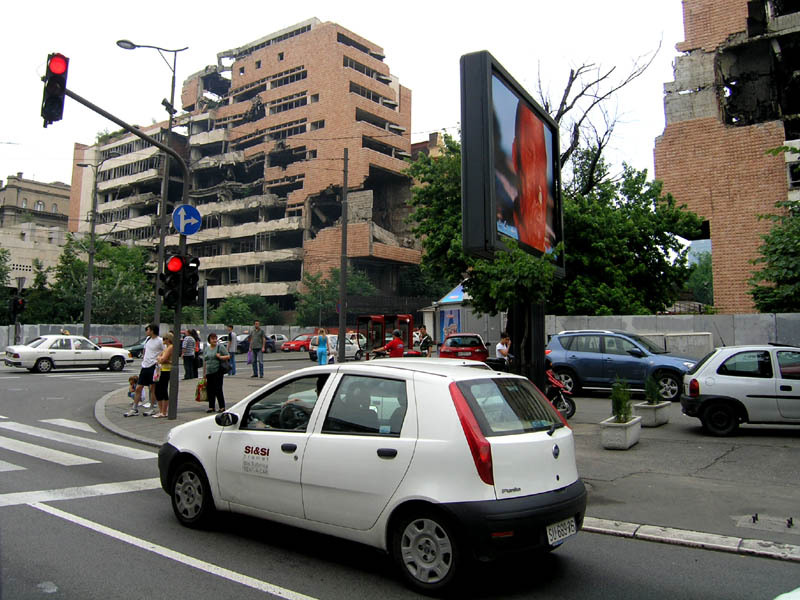 Good to see someone else blogging about Serbia! My mountain biking blog has a kind of Serbia slant, especially the gallery, where there is all kinds of pics of Serbia. It's strange, you just get used to those bombed out buildings - most people just walk past them now...! I can imagine that people just get used to the surroundings - what other real options do they have? I wonder if you share my view of the things going on in Serbia? It's kind of like here in NYC...people walk past Ground Zero every day to get to the train and it's weird how many people don't even look up. But then I guess people don't need physical reminders of something that they actually lived through. Thanks for stopping by my blog...and voting for me! How to win 20 EUR?